No wires, no distractions, just music. The Sony Mid-Range Noise Cancelling Headphones with Bluetooth are made for long listening on-the-go. One Push Artificial Intelligence Noise Cancelling adjusts to your environment, so you can eliminate unwanted noise as you travel. 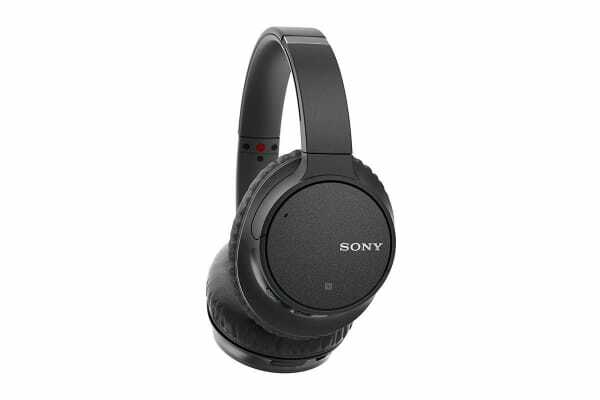 Listen without wires and block out unwanted background noise, just hear your favourite music with digital noise cancellation. 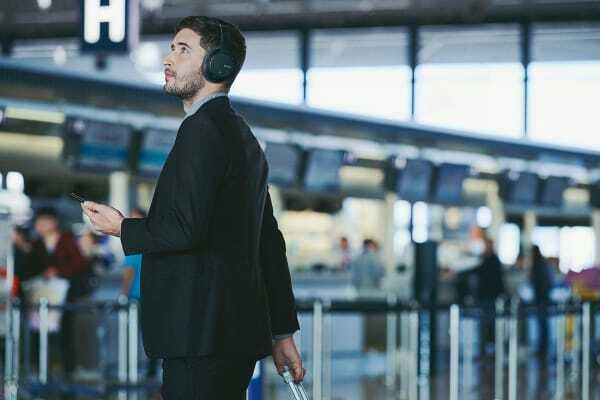 Artificial Intelligence Noise Cancellation (AINC) analyses background sound and adjusts it for optimal performance on aeroplanes and other noisy environments. Just press and hold the NC button on your headphones to activate it. Near Field Communication (NFC) technology makes complex set-up sequences a thing of the past. Simply touch selected NFC-enabled devices to the on-body N-mark for a quick, seamless connection then start streaming content via Bluetooth connection. Speak to your friends and talk to your voice assistants without even taking your phone out of your pocket or bag. Enjoy, hands-free calling with the high-quality built-in microphone. 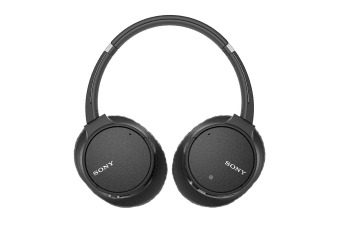 And a metal slider allows you to adjust your headphones to the perfect size. The soft earpads shape around your ears for a snug, comfortable fit. The earcups swivel flat for easy packing in a suitcase or slipping into a bag, so you can transport them securely, wherever you go. Keep your music playing all day. A built-in Li-ion battery delivers up to 35 hours of power (depending on your music settings) and is rechargeable via USB. Quick Charging gives 60 minutes of play back from 10 minutes of charge. Get more from your music with 40mm dome drivers that deliver deep bass and a wide frequency range.